These nocturnal mammals are most easily seen flying around twilight. Big Brown Bats can be identified by their large, wide nose and long, glossy dark brown fur. 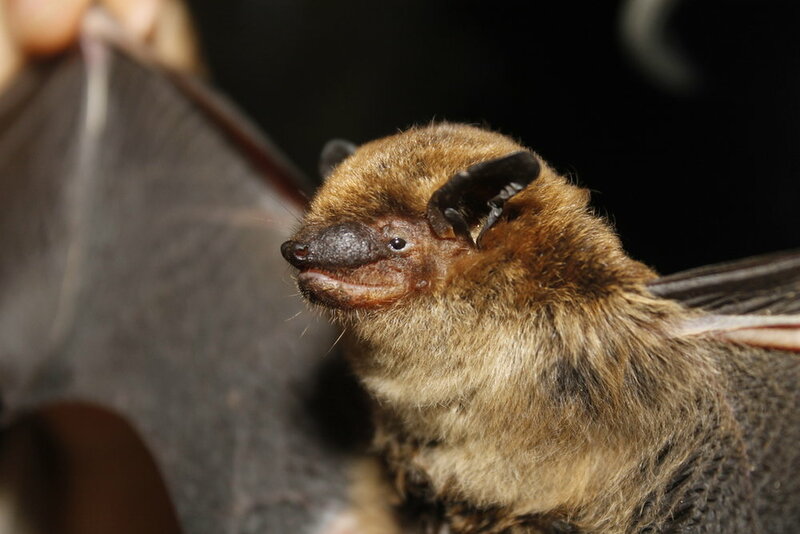 Little Brown Bats can be identified by their small size and yellow-brown or olive-brown fur. Evening Bats look very similar to Little Brown Bats, but have a more prominent trachea and the lack finger-like appendages known as a keeled calcar.